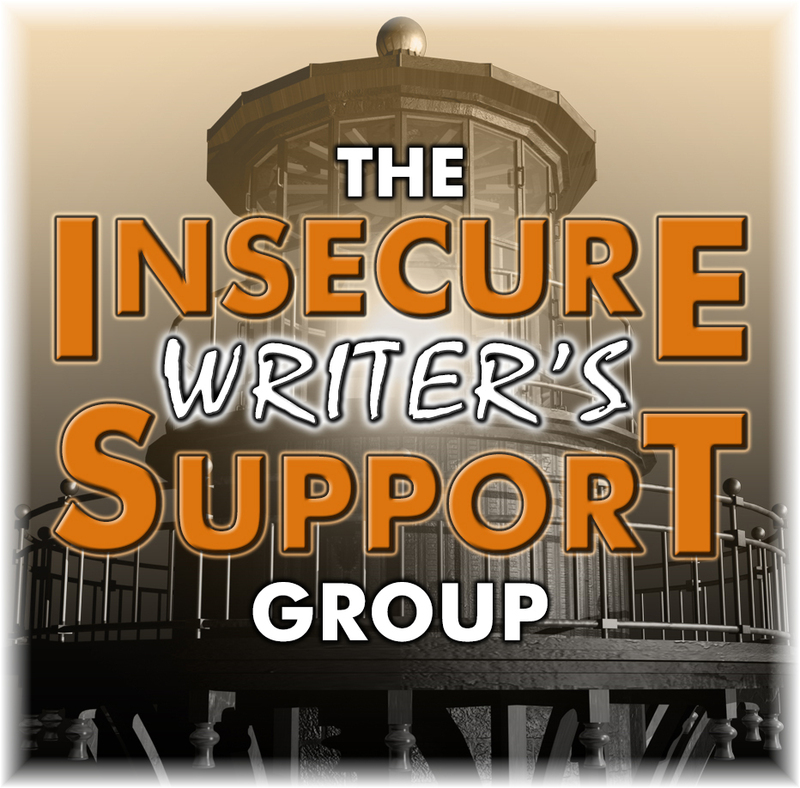 Breakthrough Blogs: IWSG, Feline Fun Facts, and More! 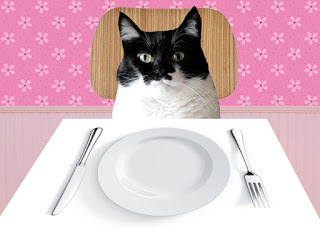 IWSG, Feline Fun Facts, and More! Also Today Lynda Young is hosting me at her Website WIP It. This Week Salem’s Daughters is $0.99. 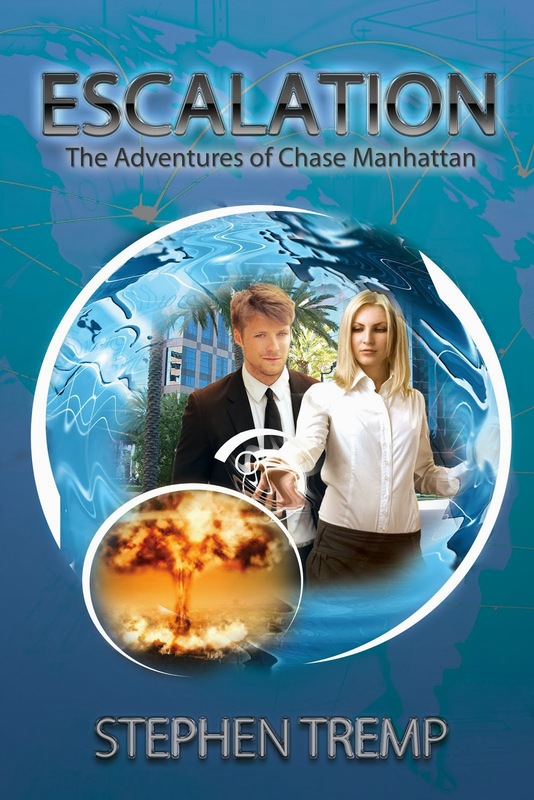 You can read the synopsis and download a copy by Clicking Here. I’m also doing a promo today with BookSends. I rarely do promos like this. This is only the third time I’ve gone this route. But BookSends has been good to me and I’ve always made back the small fee plus some. Alternate names for fear of cats are aelurophobia, galeophobia, and gatophobia. Human Has Not Fed Me In Days. Me Very Hungry. Did You Know When people die in their homes and their cats get hungry, the first thing they eat are the faces of the deceased people. I had to get that in somewhere during my Salem's Daughters Blog Tour. Who Am I My name is Stephen Tremp and I write speculative fiction. 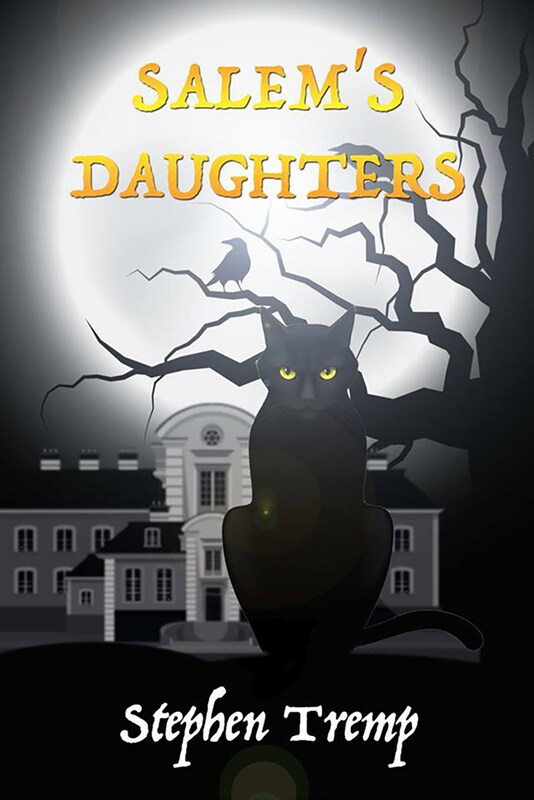 My fourth novel, Salem’s Daughters ($0.99 on Kindle this week), is supernatural thriller about an average young couple who build a bed and breakfast that is terrorized by thirteen seemingly harmless cats possessed by disembodied witches who instigate a cycle of terror and murder. 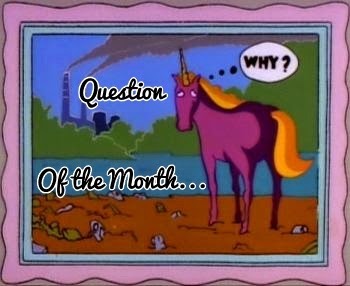 Question What’s your IWSG this month? Do you ever use BookSends or BookBub or other similar services to help promote your books? Like that episode of X-Files where the dog ate his master after he died. Did you see the report that if house cats were bigger, they would eat their owners? Thanks for co-hosting and I will see you at Lynda's! I am a slow reader, but so far find your book very entertaining! Ew, yuk, Is the face the fleshiest, I wonder? Glad I don't at present have any pets about. But protein is protein to an animal. My daughter's cat will raid the pantry if he gets hungry and he's alone. . .(he goes for the bakery items though, as protein is to hard to get in the pantry. Good luck with Salem's Daughters! Hi Stephen! Have a fun time co-hosting too! I'm wishing you well for Salem's Daughters! Now off to Lynda's! Started your book, interesting so far! Ew! Note to self, if dying remember to cover face. I've heard Bookbub mentioned a lot recently but not dipped into it - it seemed to be offering lots of free e-books and I wondered how the writers felt about that? Thanks for co-hosting, Stephen. Now keeping a close eye on my cats. Hey, not dead! I'm only sleeping!! You learn something new every day! I wonder why they go for the face? How strange. Your book sounds good, I'll be checking it out once I've narrowed down my TBR pile a bit more! Thanks for co-hosting :)! That's a weird tidbit about cats. Hope your tour is going well. At first I read "faces" as "faeces"... not sure which is preferable, yikes! With the faces, maybe they start off licking the faces to try and get their owner to wake up, then when they realise that isn't happening, they make a meal of it? Just downloaded Salem's Daughters for a cool 99p, although when I clicked through to Amazon UK from the link, the search term was just "Salem" so there was lots of other stuff first like Salem's Lot. Might be something to look into? Cool thanks Nick! $0.99 well spent! I'll be downloading your book. It struck me as humorous, a sort of "gotcha" for cat haters, or lovers. I have a cat and he can be sweet and snugly, or turn on you and bite your arm! Thanks for co-hosting the IWSG this month! I saw a bump in sales with Booksends, too. I also like Digital Book Today and The Kindle Book Review / Romance Review. Thanks Melissa, I'll check them out today. Eating the faces of their deceased people... Yeah, I will never look at my cat the say way again. The visual I keep getting is nasty. I heard it was because they were ingested the spirit of their owners. Which doesn't make it any easier to imagine. We have 2 cats, who always seem hungry. Thanks for co-hosting, Stephen. So when my cats lick my face, I probably should not be interpreting that as kisses then? Yikes. I should look into those book services. Tamara, maybe they're taste-testing you. Well, if I become a crazy cat lady, I'll know to build a kitty door. SMH. Thanks for co-hosting! Is that true?! About cats eating their owners faces...yuck!!! I have 2 cats, hopefully I'll die facedown. Stephen, I actually have a promo coming up with Booksends, I hope it helps with sales. Bookbub is expensive, I've submitted my books, but I've never been picked. Cathrina, BookBub is expensive. But I watch the daily promos and almost all of them are launched high in Amaon rankings and they stay there for a while. Many make it into the Top 100. At $1.99 and a profit of $1.40 per Kindle download, the payback is there. Oh, and thanks for co-hosting!!! Our Rocko is so tiny she'll be feasting on us for months. Another reason not to get a cat. LOL Thanks for cohosting this month. That's a gruesome cat fact! Ok. I could have lived all my life and been happy NOT to know about the cat eating the owner's face. You will be remembered for that snippet of information though. Thanks for co-hosting! Thanks for co-hosting IWSG this month. Always enjoyed cats, but only one seemed to have mischief on its mind! Your supernatural thriller sounds awesome! Remind me never to get a cat:) Thanks for co-hosting! Jennifer, never get a cat. I've never heard of BookSends before. I'll check it out. Thanks for co-hosting. Kai, I'm very happy with the results this time around, as with the previous two. I made my money back and a little more. Book Bub, many years ago, it worked. But haven't done it lately! Happy IWSG - ing! Not surprised that a cat will eat their human's face. Mine gnaws on my elbow every night to let me know his food dish is empty. Not a pleasant way to wake up at 4 am. Never tried booksends or BookBub, but I've heard fabulous things. Actually, I've found that with some (a lot of) work, I can reach a significant audience by utilizing free tools. Still, I'm going to have to look into Booksends if it's been such a great resource. NaNo is my insecurity this month! I knew that bit about cats eating faces, which is why I don't have one. Screw that. Hmmmm, that bit about the cats has got me thinking. I've always wondered why our 5 cats look disappointed whenever I wake up from a nap. 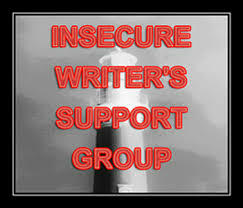 Thanks for co-hosting this month's IWSG. Thank you so much for co-hosting this month. As for my own insecurity, it is NaNo. I want to reach my goal which is not 50 thousand words but 60 thousand. I haven't used Bookbub or Booksends though I've heard good things about Bookbub. I didn't need to know that about cats eating dead people's faces. Eww, even though I’d already be dead, that’s definitely one thing I don’t want to happen after I expire. Guess, I’m lucky my husband hates cats and is against having one as a pet. Thanks for co-hosting today! Yes, i've heard that our pets don't hesitate to munch on our corpse. I'm hoping that's only when they become overly hungry and don't put on the bib the second I hit the floor pulseless. I've had no luck with BookBub and I've heard it's almost impossible to get accepted. Wow! You certainly got my attention. I wouldn't put anything past my cat. It's like thousands of crazy thoughts race behind his eyes at all times...lol. Great post. I haven't used either Bookbub or Booksends so thank you for pointing them out. Your fourth book sounds like a lot of fun, Stephen! I haven't even heard of BookSends or BookBub before, so thanks for the info. I'm way behind on technology ~ I just got my first smart phone. But I'm learning! 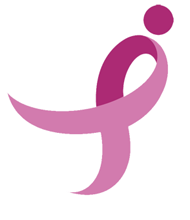 Thanks for being and ISWG host. Fundy Blue, enjoy that new phone! My dislike of cats has just grown! Sounds terrifying! Sorry to all cat lovers who read this :) Wishing all NaNo participants lots of fun. Thanks for co-hosting! Salem's Daughters sounds like a fun read. I hope the sale goes well. Good luck and nice to hear the book is out!!! Interesting tidbits of info, if a bit gruesome!!! Sorry I forgot! Thanks for cohosting this month!! Great timing on your part!!! Have to remember this! Face eating - eww! Aside from that, you have some fascinating facts about cats. Thanks for cohosting this time. 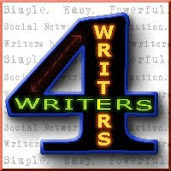 Hello from a fellow speculative fiction author! Congrats on your release. I had no idea about that interesting little tidbit about what cats do after someone dies. Makes them freak me out even more! Is that why my cat stares me in the face when he wakes me to feed him? A warning to get up or my face is food? I had not looked into BookSends and BookBub, but I'm checking now! Interestingly, BookBub charges the lowest price to advertise Free books, while BookSends charges the highest price for Free Books, despite the fact BookBub claims to have significantly higher circulation. I guess it depends on how prominently they feature them? Thanks for co-hosting today and congrats on the release. I haven't started mine yet, but it's on the TBR list. As for cat facts, I know many of them. Being allergic to them, I try to know what I can. I used to really like them, and I guess I still do, I just can't really be around them... With that being said, I'm always telling people that dogs are domesticated and house cats are just small; they are tiny tigers. Toinette, very true. Tiny Tigers they are. Thanks for stopping by and saying hi! YIkes, I love cats, but that is a fact I could have done without knowing---Shivers. That fun fact deserves another ew: ewwwwwwwwwwwwwwwwwwwwwww!!!!!!! Lynda, I just had to get that fun fact in before the end off the blog tour. Yikes....eating the faces of the deceased....yuck! I haven't used BookSends or BookBub...I'll have to check it out! Thanks for co-hosting this month! Stephen- I have been seeing your book all over the blogosphere. Yeah! I had no idea about cats eating the faces off of the deceased. Must have been some interesting research for sure. I get emails from BookBub but have never used them. I also did not know that about cats. I have two cats and can't believe they'd do that to me. I must read your book too. Hope the cats in it don't eat people's faces. Congratulations. I love cats! Hmmm, would they eat my face? I suppose if they were trapped without food. Oh, how morbid!! Oh, how awful. I adore cats, but why am I not surprised? They are resourceful to say the least, unlike dogs who act like two-year-olds their entire life. BookBub is a cheap way to buy books I hear. Thanks for co-hosting and good luck with sales of your novel. Thank you for co-hosting. My brother has a cat and she likes biting my cheek all the time. After reading your facts about cats, I'm wondering if she keeps biting my cheek as a practice run, for when she stumbles unto my dead body. I hope not. Congratulation on the release of your new book. Oh, I think I could have gone a lifetime without knowing that little fact about cats. I've advertised on Bookbub before and a couple other sites. They are great ways to get your books seen by new readers. Thanks for co-hosting this month. There’s some question as to whether cats can even be domesticated. I’ve wondered about a couple of my own cats over the years… but that’s another story. 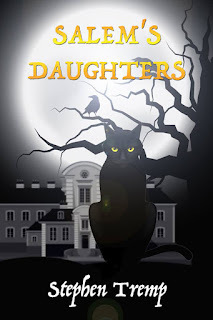 Good luck with the blog tour of Salem's Daughters! The story sounds quite interesting, Stephen. Hope you sell tons of books! I am rather fond of cats! Congrats on the book Stephen and thanks for being a co-host this month. I haven't used either one, but am leaning toward Booksends - thanks for the tip! Congratulations and best wishes with Salem's Daughters! OMGOODNESS that is so gross but like they say if you get hungry enough. Eck! Maybe they eat the faces so they don't have to view the owner they once loved when they're eating the rest of them. Thanks for co-hosting this month! And wow, scary fact about cats. I've never heard of BookSends, but I'm Googling now! Not surprised some people have a fear of cats, since eating the faces of dead people is apparently something they're known for!